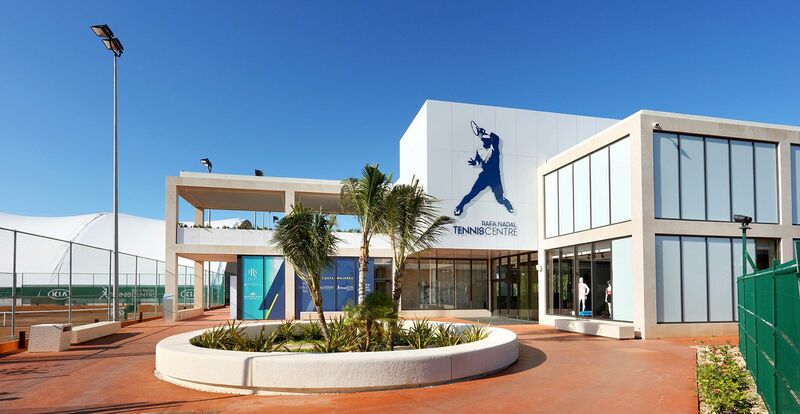 Palladium Hotel Group is proud to announce the incorporation of a Rafa Nadal Tennis Centre on our Costa Mujeres resort. 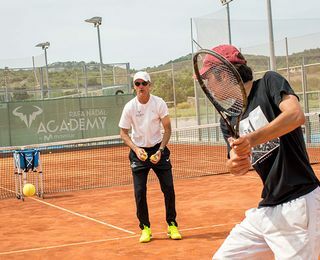 Guests can learn from the best with the instructors of the Rafa Nadal Academy by Movistar and experience an exclusive training program encompassing Rafa Nadal´s personal values, focusing on technical, strategical and physical preparation, as well as mental training. 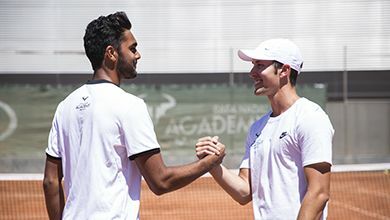 Enjoy professional tennis instruction through a variety of programs, available for both adults and children between the ages of 5 and 18. 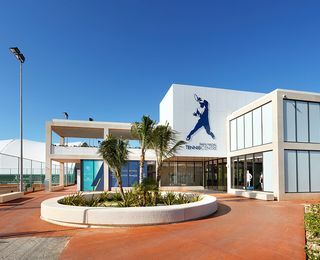 Classes of all levels are offered to guests of both TRS Coral Hotel and Grand Palladium Costa Mujeres Resort & Spa, as well as those living in or visiting the surrounding area. 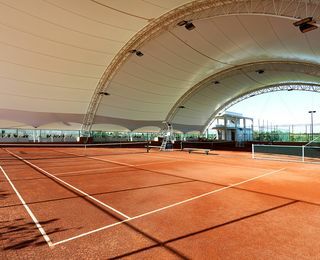 • 8 illuminated clay tennis courts, 3 of which are covered with a roof. 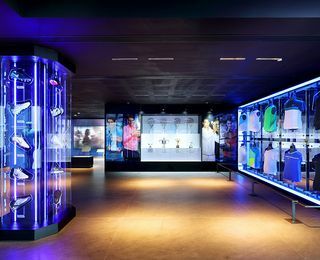 • 1 soccer field for teams of 7. 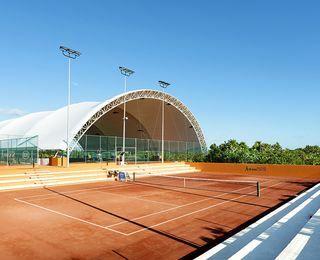 • 1 paddle tennis court. 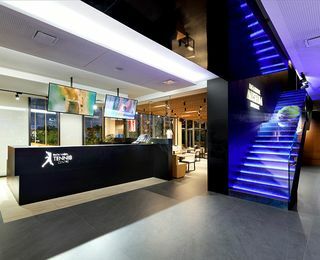 • Sport Cafe with TVs to watch tennis among other sports. • Gym for warm-ups, stretching and basic workouts. 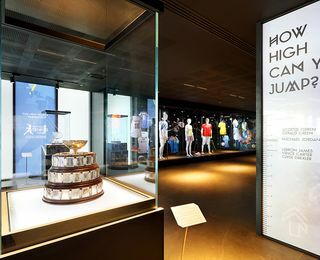 • Rafa Nadal Museum Xperience exhibiting Rafa Nadal’s trophies and sports equipment. 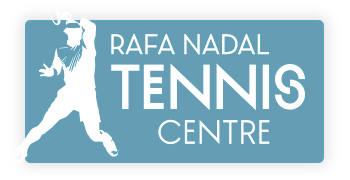 • Rafa Nadal Shop with premium products and stringing service available. High intensity programs for adults offering one-hour lessons, packs of 3 hours taken over 2-3 days and packs of 5, 7.5, or 10 hours taken over 5 days. 12 hours of high intensity training in groups of four. Mild-intensity classes focused on competition preparation. 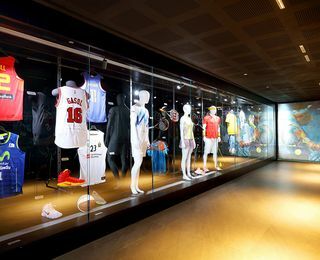 For adults, 10 hours (500 USD) or 7.5-hours (450 USD) programs in groups of 3. 6 hours of extremely high intensity classes in groups of 8 focused on improving physical condition. 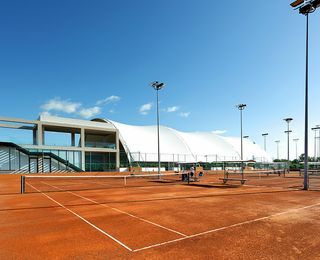 There is also a one-day option (only on Sundays) with a 1.5-hour lesson. High intensity programs for kids offering one-hour lessons, packs of 3 hours taken over 2-3 days and packs of 5, 7.5, or 10 hours taken over 5 days. Mild-intensity classes focused on competition preparation. For children, 10-hour programs in groups of 3. 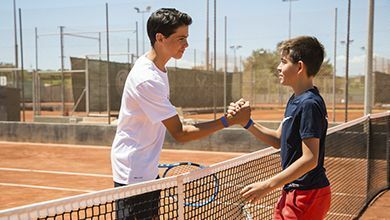 Combine tennis training and competition with fun and enriching activities in groups of 4 or 3, offering a spring, summer and winter break camp. 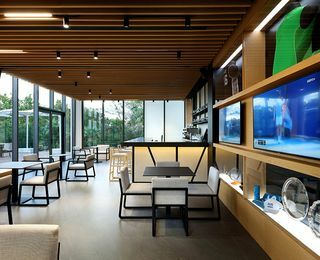 Sign up to our newsletter to receive exclusive promotions, and the most up-to-date information about Palladium Hotel Group.